On Monday morning the driver, who was found in possession of half a million rand’s worth of dagga in a TSB delivery truck, reappeared in court. His trial had been postponed to October 29 for further investigation. MALALANE – On Monday morning the driver, who was found in possession of half a million rand’s worth of dagga in a TSB delivery truck, reappeared in court. His trial had been postponed to October 29 for further investigation. The accused Mr Gebhuza Ngwenya (54) was charged with dealing in dagga after the search-and-seizure process had been conducted by the police. 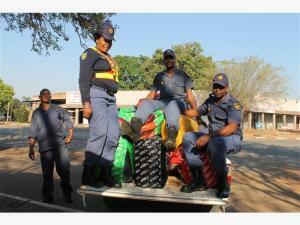 They discovered 14 bags of compressed dagga on top of a sugar load in the truck. Ngwenya was reportedly on his way to make a delivery in Johannesburg. “The vehicle was pulled off after police had received an anonymous tip-off. A large TSB truck was allegedly pulling two trailers loaded with dagga,” Nkosi said. He said they immediately set up a roadblock on the N4 east. The truck had been identified and the driver was instructed to go to the police station. “TSB has vehemently denied any involvement in the transportation of dagga.” According to the company, the truck passed security checks. “It was loaded on Sunday September 13 at 22:30 and left the premises thereafter. The dagga was loaded post-dispatch as all trucks went through the security checks at the exit gate,” said Vusi Khoza, TSB spokesman. “We do not exactly know where the dagga was loaded,” said Nkosi. The officers could not weigh it at the post office due to its size, and had to take it to a nearby weighbridge. It weighed in at 340kg and had an estimated street value of R510 000. Ngwenya appeared in the periodic court the following day and had been granted bail of R5 000. This entry was posted in LAW, News on 6 October 2014 by admin. The total value of the recovered dagga is estimated to be worth R14, 500. A 42-year-old man and a 51-year-old woman were recently arrested by Phoenix SAPS officers for dagga dealing. The operations implemented by the police certainly yielded positive results, sending out a strong message to all drug dealers in the vicinity. According to police spokesman, Col Jay Naicker, the officers recently received information regarding a drug trade in the area. 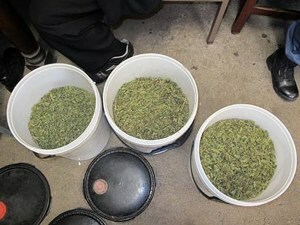 “They proceeded to Snowfern Place, Redfern (Phoenix) where they recovered 118, 71 grams of dagga. A 42-year-old man was arrested for possession of dagga. They then proceeded to a house in the Geneva area, where a 51-year-old woman was found in possession of 5,556kgs of dagga. She was subsequently charged and arrested for dealing in dagga. The total value of the recovered dagga is estimated to be worth R14, 500,” he said. Both suspects are due to appear in the Phoenix Magistrate’s Court today. KwaZulu-Natal police commissioner, Lt Gen Ngobeni praised Phoenix SAPS for the successful arrests. “Such operations destabilise drugs dealers and also slows down the trade and use of drugs in our community. These operations are a must and drug dealers must realise that we can strike at any time,” she said. taken in respect of your complaint against the Department of Health. reasonable. It is not to conduct a separate or new investigation. has a material effect on the decision made. nothing further that our office can assist you with. Therefore our file remains closed. This entry was posted in Government, LAW and tagged Public Protector, R1 Million Cannabis Research Maladministration on 26 September 2014 by admin. Inkatha Freedom Party (IFP) Member of Parliament (MP) Mario Oriani-Ambrosini opened a can of worms with his passionate appeal in Parliament for the legalisation of dagga as medical treatment. Head of the Healthcare and Life Sciences Practice at Werksmans Attorneys Neil Kirby says that it’s widely believed that dagga holds numerous potential cures for diseases and ailments. Kirby highlights a number of cities and countries that legalised marijuana for medicinal purposes. “California, Colorado and Washington had it legalised across the border while New York is about to elect the same legislation. “Uruguay is also legalising it where you can do anything you want with dagga. Other countries like Iran and Switzerland has laws that make it completely legal to grow it,” says Kirby. 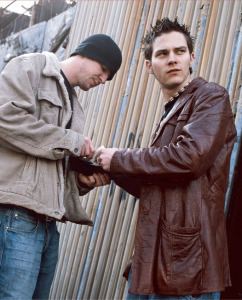 Drug decriminalisation – I’m a patient not a dealer! “Bear in mind that we have very strict smoking laws. Are we required to integrate anti-tobacco with anti-cannabis or is cannabis considered a tobacco product for purposes of smoking. How do we advertise it? 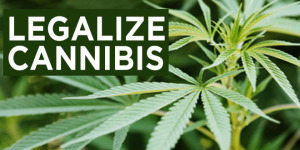 “Under the proposed legislation we’ve got something called a Pilot Program with private or public hospitals that will be designated by the minister in regulations to give you places where you can access your cannabis [dagga],” explains Kirby. “Tuberculosis and HIV/Aids is still trying to be cured and the simplest medication is still an effort for a lot of South Africans to receive. Pharmacies aren’t available, medicines are sometimes scarce and treatment is too expensive. “We’re talking about an innovation in the absence of evidence based treatment. It suggests that doctors in these Pilot Sites are going to be encouraged to adopt treatment regiments or protocols that aren’t necessary widely accepted,” explains Kirby. There are great concerns regarding the lunacy of other potential innovations such the African potato and garlic beetroot. He further added that South Africa must be careful with what it is they promote as “viable healthcare solutions”. The Medical Innovation Bill of 2014 – A badly drafted piece of legislation? Kirby reckons that it could be too soon to tell because the bill must still undergo the various stages of the legislative process. “Let’s give it the benefit of the doubt at the moment since it can change in the process. 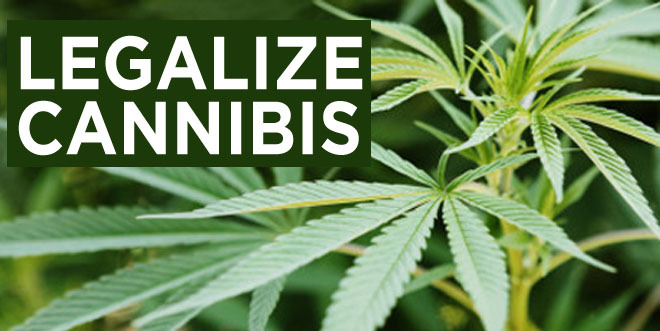 I’m not too convinced that this is restricted to the medical use of dagga only as commercial and industrial uses of cannabis is to be identified by the Minister of Trade and Industry in regulation,” Kirby explains. Furthermore, Kirby battles to understand how dagga could reduce the cost of private and public healthcare. “I don’t see the two sitting together at all and I might have to see a report or two that indicate how the two concepts are connected. “If you make it available for medical purposes, somebody has to grow it somewhere and it has to be harvested, possessed, processed, manufactured and packaged. All of those people (manufacturers) would have to be part of a chain that would be immune from prosecution,” Kirby explains. He added that legalising dagga for medicinal purposes suggests that the legislation would have to expand beyond the person smoking it in hospital. This entry was posted in LAW on 26 September 2014 by admin. All sorts of people sell dagga. Because dagga is often used in combination with other drugs, vendors of other drugs may also sell dagga. Known users may also sell the drug. Sales of matchboxes or paper wraps of dagga often take place on street corners. People loitering on corners and approaching passing cars should be questioned. As with all drugs, the package of dagga is often hidden in nearby debris, rather than on the person of the vendor. Suspects should be watched prior to approaching to determine the location of their stash. Dagga is often sold out of private residences. Households with a lot of short-term visitors should be monitored. Many of these residences will sell to anyone, so buy and bust operations can be executed easily. Strictly follow protocol in attempting any such operation. These buildings are also subject to asset forfeiture. Coordinate these operations with the Asset Forfeiture Unit of the National Prosecuting Authority. Dagga is also often sold out of petrol stations, where it is less easy to spot unusual behaviour. These stations are also subject to forfeiture, although the interests of justice may preclude seizure where the ownership has not been given notice. This entry was posted in General, LAW and tagged Institute for Security Studies SA on 25 September 2014 by admin.